This past week, while having a few days off from work, I realized how I leaned (very much) toward pinks and purples in designing my garden. Or maybe it's just really evident right now at the end of August that pink and purple plants are the majority still blooming. 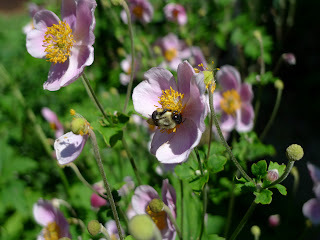 Lovely pink anemone by the front door. They are literally buzzing at this time of year - being visited by several neighborhood bees. Love love love this recent addition to the garden - Raspberry Truffle coneflower. 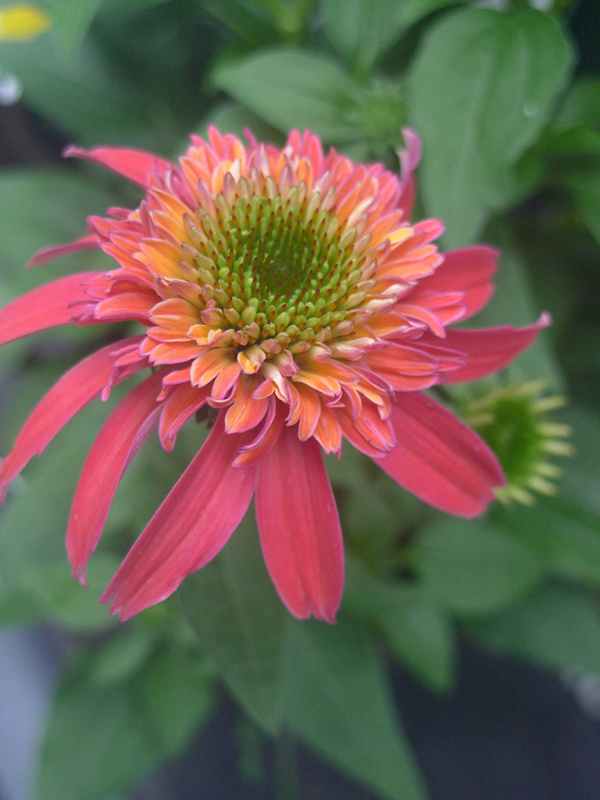 I purchased it from my local garden center. 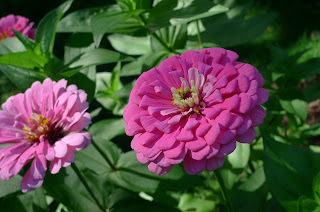 These zinnias (Art Deco) are at their height of bloom right now. I grew them from seed by Botanical Interests. This lovely combination was purely accidental. 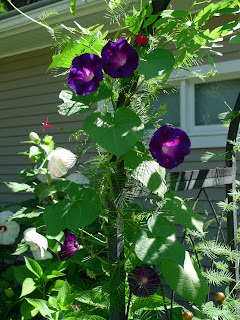 By the front arbor, morning glory reseeded itself and intertwined with cardinal climber, a new vine I tried this year. I took this photo in the morning before the sun caused the morning glories to close up.